Geez, life is so annoying! But enough about that. So, I’ve been painting a bit lately. I felt bad about not blogging, but I don’t have the brain power to explain all the different pieces yet. Here are a few pieces, so I’m getting good use out of the paints that I bought after Christmas. My partner and I have also assembled and primed our respective Warhammer 40k armies, but have to wait to paint them, as we have an inspection coming up. In the mean time, I have been painting all sorts of things, as you can see. 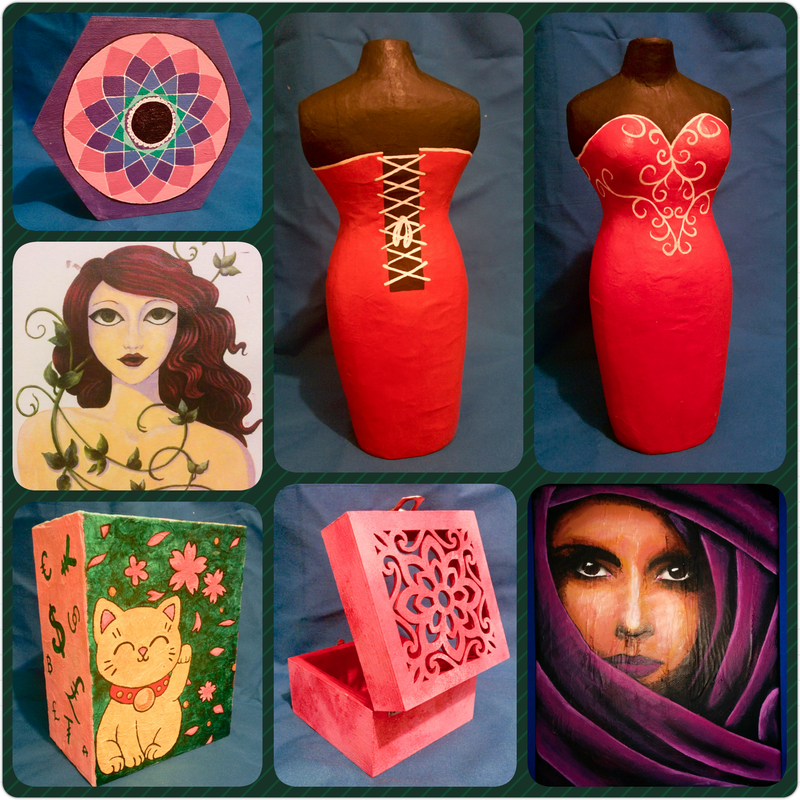 I’ve drawn pictures to paint, copied pictures, used a gesso transfer and painted over the magazine image, I’ve painted boxes, clay figures that I’ve made in the past, begun painting a dress on a paper mache dress form, and scoured my craft room for half finished projects, so I have plenty on the go. Please excuse the quality of the pictures, the colours did not want to show up with the light, and I had to try an adjust them back. I keep forgetting to take the photos during the day. Perhaps I’ll make a day if it when I’ve completed more pieces. I might even iron the background sheet ;). Paint the town red! Or maybe just the dress form. 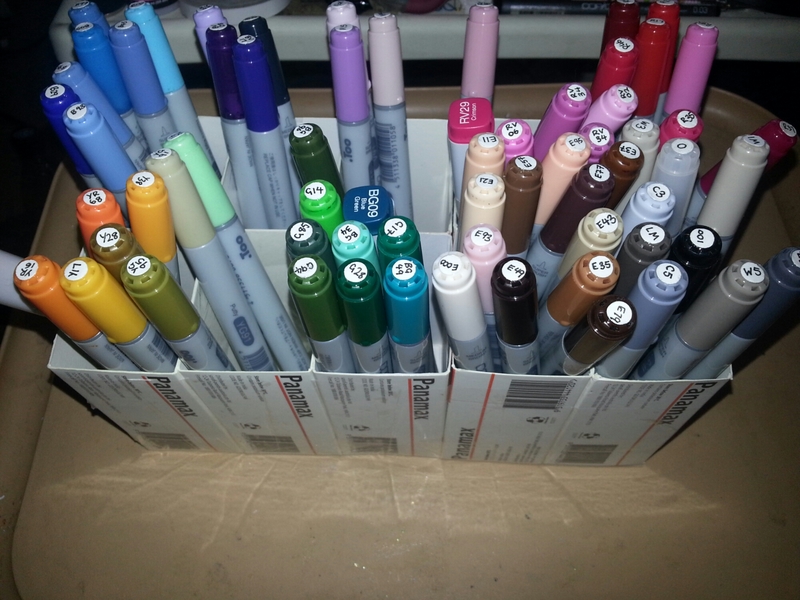 I got my supplies out to decorate the boxes today, and had no idea what to do, so I only got to do a couple. I quite like the square gems on the gold. They look pretty and the pattern matched up without really planning it. I tried putting micro marbles on one, but for some reason couldn’t figure out a good way to do it with minimal mess, as I wasn’t able to use my craft room. 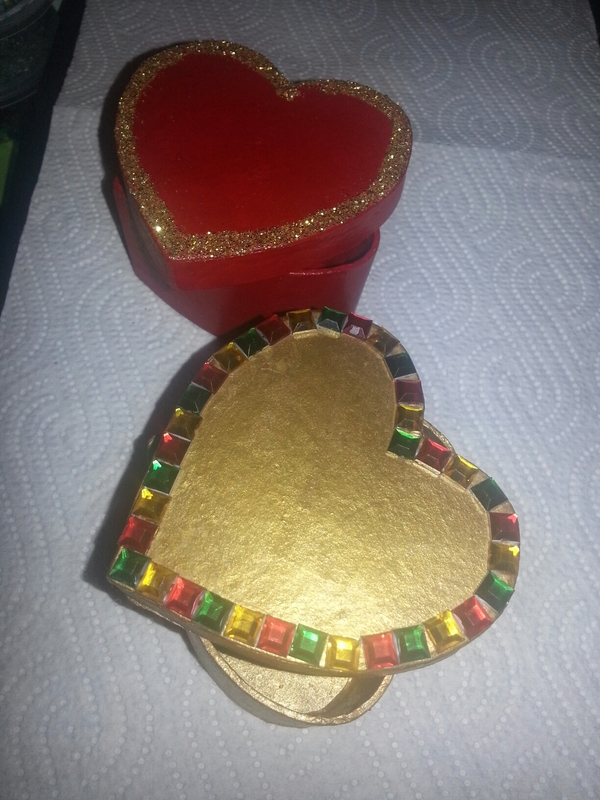 I did look up some ideas and thought I’d try quilling on one later, and maybe get some fabric and ribbon out. I finally got around to baking the clay that I moulded the other day. 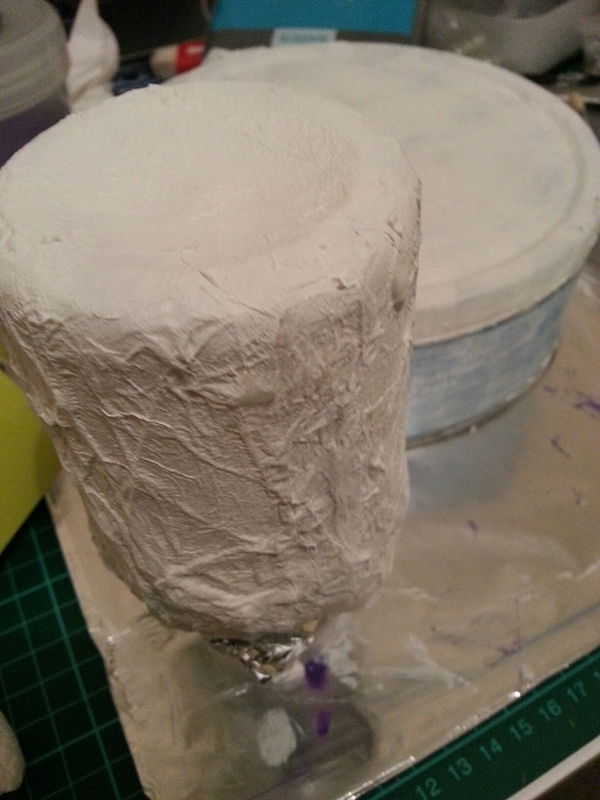 I’m loving the fondant mould I got, but I’m unsure if it’s because I used cheap clay, or that I didn’t bake it long enough, but the pieces are a bit bendy. I’ll have to try the super Sculpey that I have although they come out a bit mottled. I think I’ll have to experiment because I couldn’t find anything online about it. So, if you’re reading this, you might have noticed a change in the theme of the site. I even made a quick banner. I realised that the website was taking a long time to load. I think this is because the theme took the actual pictures from the pages instead of making a low resolution thumbnail, cropped as a circle. I did like the theme, but the meta menu was bugged and there wasn’t much that I could edit. The new theme I picked, (I think it’s called sketches,) is a lot cleaner and nice looking. I need to update the ‘about’ page more, but I didn’t know what to say. At least its better than the blank/default one I had. I felt like doing something crafty this evening, without much effort. I was originally going to decorate boxes, but realised that a few of the boxes, that I had in my drawer, weren’t finished and needed another coat of paint. 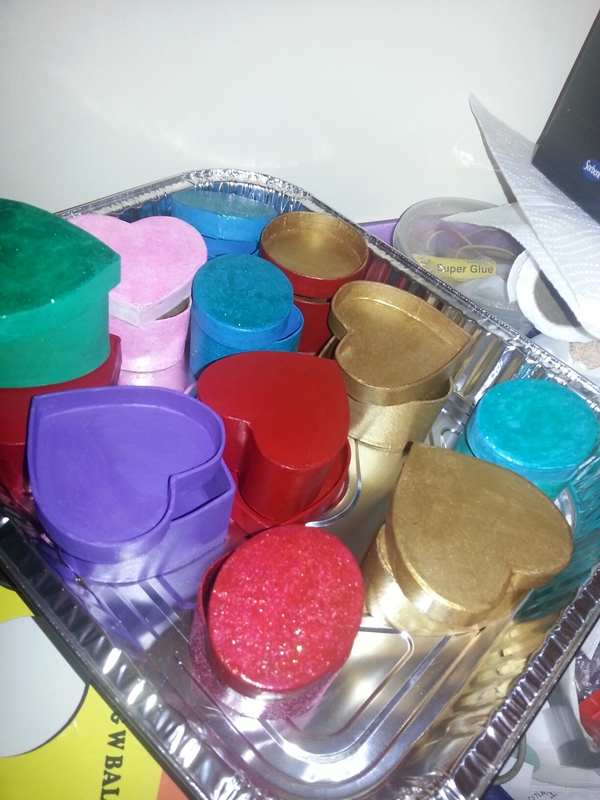 I got a few disposable oven trays the other day, so I could use them for polymer clay, baking them when the tray is full. I discovered that they are good to put drying boxes in to keep them out of the way. Box making day. I tried a couple of things. 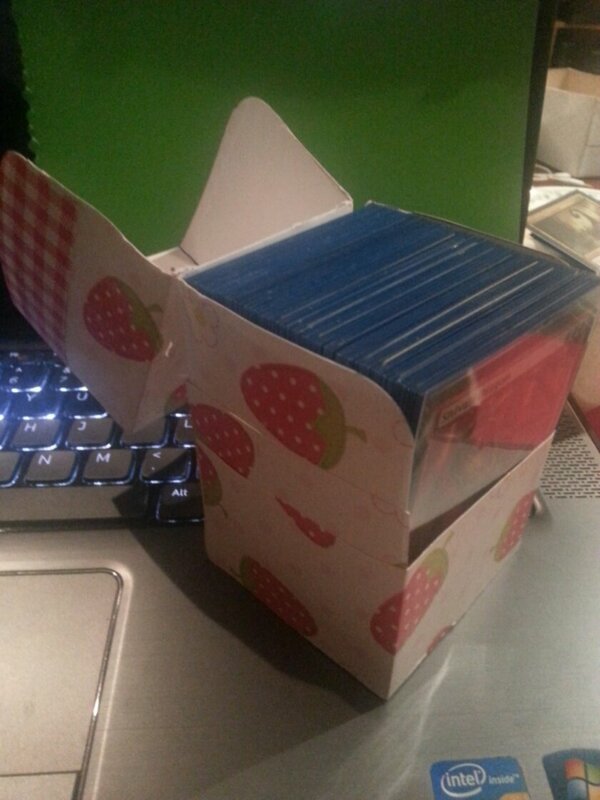 I needed a box to fit my Magic the gathering deck into, and boxes are $20 for a basic one. I thought making them would be good and a nice gift to my friends that play. I tried making a pattern and paper mached with brown paper. But it didn’t have a sturdy enough base. 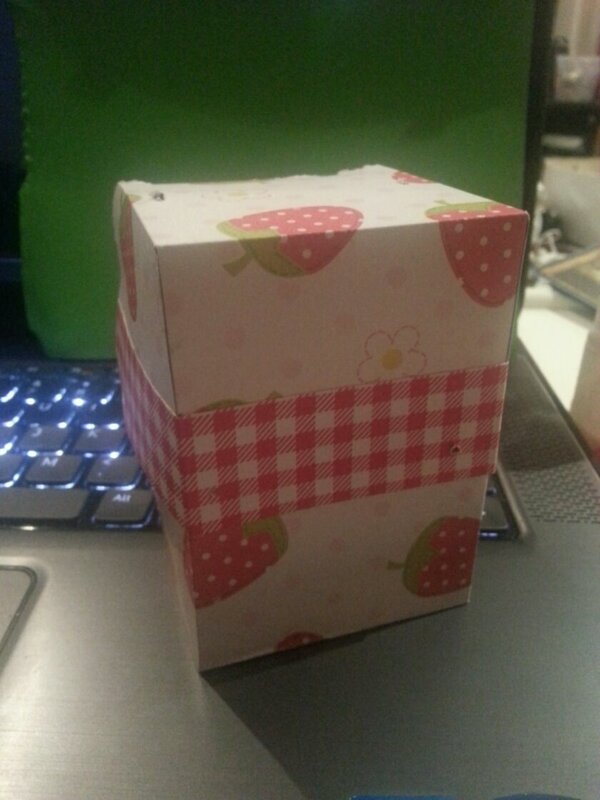 After looking around on YouTube, I found this box and changed the measurements. Unfortunately, the closing mechanism didn’t work on the scale and ripped the corners.